We Indians are born with sweet tooth. Sweets are known as mithai in India, it is available in many shapes, colors and flavor to suit the urge for sweet. The sweets are decorated with almonds, pistachio, cashews and silver all the nuts make it difficult to resist. Usually desserts are very tempting it is one of the best ways to end a nice meal. In India sweets are served as a tea time snack or as a dessert after the meal. Indian celebrate any special occasion, puja, weddings, birth of a child, house warming, any good news and festivals with mathia. 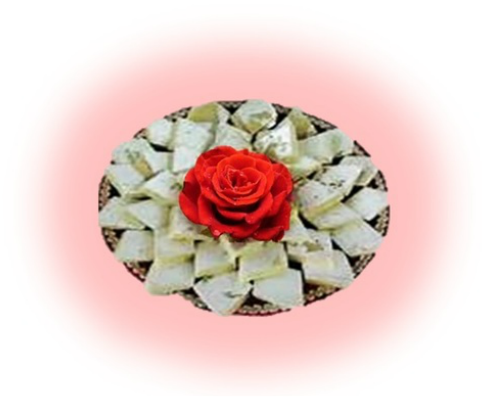 A mithai is a celebration of happiness and giving sweet is symbolic of sending good wishes. Each region has its own specialties. They add their own flavor and special touch in the way they make it. These sweets are made from various ingredients ranging from vegetables to fruits from grains to milk. Please take the time to let me know what you think about my North Indian popular sweets recipes. Your comments would be helpful to me to improve the recipes.